A good digestion is key because it helps our body to get rid of waste products and toxins. If we are constantly constipated or have a slow digestion the waste that’s supposed to get out of our body, sits in our gut and makes our body acidic. 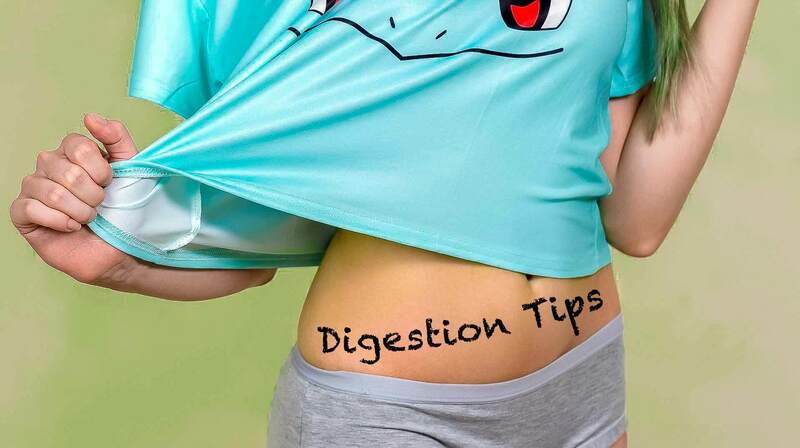 A good digestion means that you should have a bowel movement at least once to twice per day. In my case that was impossible in the past. I had a bowel movement about 2-3 times per week and didn’t know how harmful that is. Switching to a raw vegan diet in 2014 has already helped me a lot and the fruit rich diet kept my bowels moving more often. But still not to the point of reaching 1-2 bowel movements per day. It turned out that the consumption of overt fats and foods that are rich in starched were still slowing things down. Now that I know about it I can take action to keep things moving. So in this blog post I want to share with you what I’ve learned during the last few years and what has helped me to get a much more regular digestion. Eat enough fiber-rich fruits like papayas, mangoes, bananas. Especially the big papayas are extremely helpful when it comes to moving your bowls. And they also help to remove all of the protein plaque that might have built up in your bowls from eating meat. Drink at least 1-3 litres per day. Water helps to flush out toxins and hydrates our body. Eating overt fats slows down digestion. It’s not like you should omit them completely, just pay attention on how much your body can handle without slowing down your digestion too much. Try to eat no fats for a few days and start incorporating small amounts to find out how much your body can handle. Kale, collard greens and cabbage are pretty hard to digest. That’s why I prefer to juice or blend up these greens whenever I want to consume them as this will remove all of the hard to digest fibres or makes them easier to digest. Juicing them leaves you with all of its valuable easy absorbable nutrients. And remember to chew your juice/smoothie well so the body can recognize what you're eating. When it comes to eating tender leafy greens chewing them well will make them easier to digest as well. You could also blend them up and make a smoothie if you're afraid of eating big amounts of them. Dried fruits and especially things like crackers, buckwheat or coconut flour can slow down digestion tremendously. I know that a lot of people are against supplementing and I can totally understand it. I also avoided supplements for quite a while, but sometimes supplementing with certain vitamins/minerals might be beneficial as stress can really drain our storages. Whenever my digestion gets too sluggish or I get muscle cramps I supplement with Magnesium Glycinate from Doctor’s Best, which is very helpful to relax my bowels and keep them moving. Another very helpful supplement is the Ayurvedic Mix called Triphala, wich contains Amalaki, Bibhitaki and Haritaki. These are three powerful fruits with a high amount of antioxidants. And not only is it very helpful in terms of digestion but it also helps to detoxify and rejuvinate your body and brings your organs into balance. If you eat to much and succeed the point of being perfectly satiated your digestion will slow down. Drink pure celery juice on an empty stomach! This helps to build up stomach acid. I’m drinking about 16 ounce/ 500 ml every morning. If you move your body either by walking or working out it also helps to keep your bowels moving. I hope some of those tips or all of them together will help you too to improve your digestion and to feel better within your body. Let me know what are your best tips to keep your bowels moving!